A Bach Christmas? Bah, Humbug! 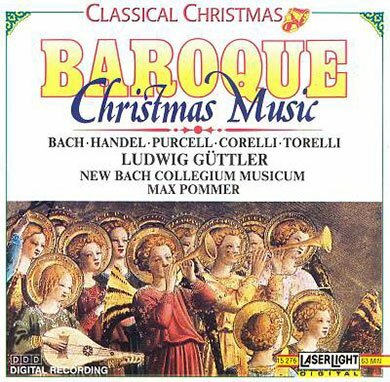 Early music aficionados of a certain age are likely to remember and may still own LP recordings marketed with titles such as “A Baroque Christmas,” comprising seasonal choral selections from the late 16th through the early 18th centuries. The earlier pieces tended to be fairly short and singable by the school groups and community choirs that were among the first participants in the early music revival, especially in Germany. Originally intended for small ensembles, the pieces were and still are often performed by relatively massive forces, sometimes with menageries of exotic accompanying instruments that were among the attractions of these performances, even if remote from historical practice. The Handel and Haydn Society’s holiday program Thursday night at Jordan Hall echoed this tradition, albeit with some concessions to current taste and fashion, including a relatively well-tamed “period” instrumental complement. What vocal works by the late-Renaissance composers Hassler and Victoria, or even the more recent Corelli and Alessandro Scarlatti, have to do with “A Bach Christmas,” as the event was billed, is unclear to me. 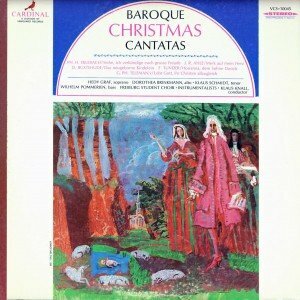 But the main numbers were two major vocal works for the Christmas season by Bach. Of course, that name still signifies only Johann Sebastian when it comes to music marketing—despite the observances earlier this year honoring his son Carl Philipp Emanuel, who like other members of the family also composed works for the Christmas season. The program, which will be repeated Sunday at 3, was conducted by Scott Allen Jarrett directing the Society’s Period Instrument Orchestra and Chorus (disclosure: Jarrett is at Boston University, where I will be teaching a course during spring 2015). The Bach works at the end of each half of the program followed shorter selections by earlier composers, encouraging the old view of the latter as mere predecessors to Bach’s perfection of music at the end of the Baroque. Commentary in both Teresa Neff’s pre-concert “conversation” and Jarrett’s remarks during the concert tended to reinforce this view. Even if accurate, this does not engender appreciation of music by such major composers as Sweelinck and Schütz—represented here by minor works that have long been favorites of choral conductors looking for easy repertoire to fill out a program. I’ve previously noted the poor attendance at the pre-concert talks, now starting at 6:30. Perhaps this justified Jarrett’s filling the rather lengthy intervals between pieces with additional talk. I’m sure he didn’t mean to call Scarlatti a 16th-century composer, or to leave the impression that Bach was the author of the texts he set to music. Cantata 40, which ended the first half, is entirely typical in beginning, like other works from Bach’s first year at Leipzig (1723), with a choral setting of a biblical text. Bach sets this passage from the first epistle of John in a particularly vivid way, emphasizing the military character of the ongoing battle between good and evil. Alas, this chorus was taken a bit too quickly for the second subject of the movement’s double fugue to be articulated as vociferously as it might have been. Indeed, speed seemed to be the main aim in several other numbers on the program—a point that I will get to. This was a big night for the horns—played by principal Elisabeth Axtell and Yoni Kahn. They maintained an admirably high pitching average, particularly in the aria “Christenkinder, freuet euch” from the Bach cantata. Here tenor Marcio de Oliveira, stepping forward from the chorus, as did all the soloists, sang with the requisite clarity and lightness in this most challenging of Bach vocal numbers. Oboists Stephen Hammer and Lani Spahr and the continuo strings Guy Fishman, Sarah Freiberg, and Erik Higgins performed smashingly here as well. Principal first and second violinists Susanna Ogata and Krista Buckland Reisner had their finest moments in another tenor aria, “Ich will nur dir zu Ehren leben” from Part 4 of Bach’s Christmas Oratorio, joining Patrick T. Waters in a performance that had all the agility and clean articulation that the counterpoint calls for. I was also impressed by Bradford Gleim’s spirited execution of the aria “Höllische Schlange” in the cantata. The so-called echo aria from the oratorio (“Flößt, mein Heiland”) was sung with just the right combination of strength and good humor by Jacquelyn Stucker. Brenna Wells provided the brief vocal echoes (of words such as ja, and nein,) from the back of the hall, while oboist Hammer echoed himself onstage. His repeats of certain phrases at a quieter dynamic level were so effective that I found myself looking around to see where the other oboist was hidden. Scarlatti’s little Christmas cantata “O di Betlemme” was sung fetchingly by soprano Sonja DuToit Tengblad together with the strings. But this chamber piece might have been better served by a smaller, more intimate presentation. The arias, which Jarrett conducted despite involving only four or five musicians, seemed a bit stiff or studied. And I didn’t sense much attention being paid to the harmonic tension in the so-called chains of suspensions that Scarlatti uses to express the “chains” (catene, presumably of sin) mentioned in the second aria. This work was performed with the delicacy it deserves. But the opening “Verbum caro” by Hans Leo Hassler struck me as more aggressive than it needed to be. Here, as in Victoria’s five-part “Alma redemptoris mater,” Jarrett’s dynamic shaping of the lines was worked out in an almost orchestral manner. Yet, perhaps because of the size of the group, I didn’t sense the care for the rhetoric of individual words and phrases that has become a hallmark of more historically oriented vocal ensembles. Intimate little numbers such as Schütz’s “spiritual madrigal” “Ach, Herr, du Schöpfer” and Praetorius’s setting of “Es ist en Ros” (by Vulpius) were probably intended for ensembles of four or five singers, with continuo. In my view they don’t benefit from “a cappella” performance by a chorus of seventeen, even one such as H & H’s, performing as usual with nearly impeccable intonation and breath control. The Schütz piece, incidentally, is the composer’s sacred recasting of the first work in Marenzio’s seventh book of five-part madrigals. There, in a curious reflection of the program’s pastoral theme, the shepherd Mirtillo pines for the shepherdess Amarilli. Quite a crowd was onstage for Sweelinck’s “Hodie Christus natus.” Here the voices were joined by the entire band of 18th-century instruments (save the horns). To perform music of around 1600 in this way is almost as much of an anachronism as Stravinsky’s Pulcinella, based on music two centuries older. Bach, to be sure, orchestrated Palestrina’s music, and the effect in either case can doubtless be exhilarating. But he was not pretending to offer “period” performance. Equally exhilarating and un-historic was the presentation of Corelli’s famous Christmas Concerto, which may have achieved a land-speed record for its shortest and quickest performance. 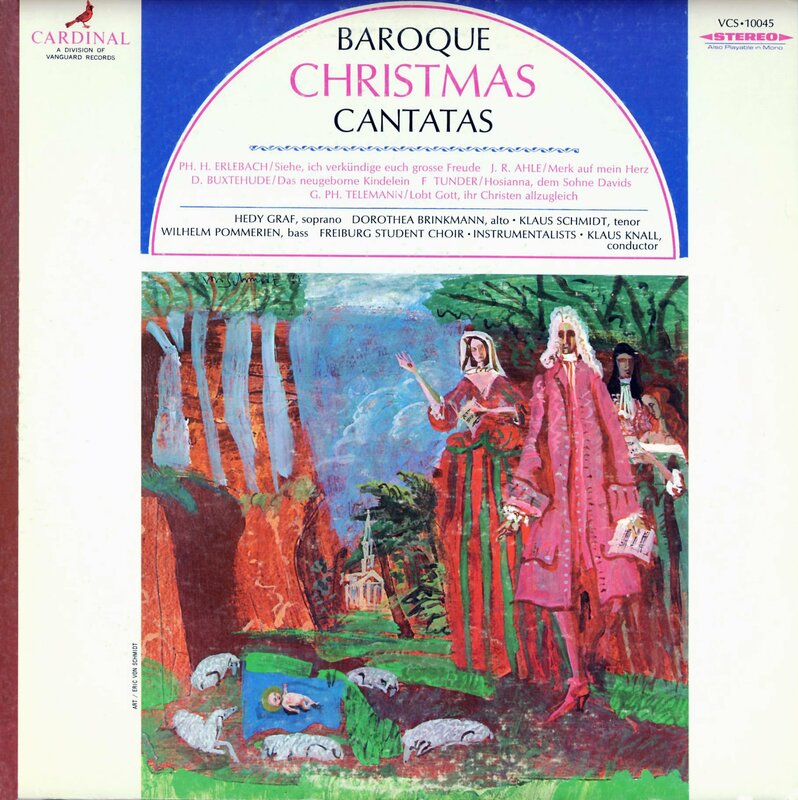 Even the quasi-vocal emulation of Palestrina’s style at the beginning, meant to suggest the darkness and mystery of Christmas Eve, struck me as rushed, as did the sometimes infelicitous embellishments added by the soloists in the quick movements. Only the closing pastorale achieved some of the elegance which is as crucial to Corelli’s style as his fabled fire and spontaneity. The latter, however, are reduced to stereotypes in an over-frenetic performance. David Schulenberg’s The Music of Carl Philipp Emanuel Bach was published in 2014 by the University of Rochester Press. He has also written books on the music of W. F. Bach and the keyboard music of J. S. Bach, as well as the textbook Music of the Baroque. A performer on harpsichord, clavichord, and fortepiano, he teaches at Wagner College and at The Juilliard School, both in New York City. His website is here. As I only infrequently attend performances by the Handel & Haydn Society I am always grateful to learn something about the music they choose to perform and how they performed it from the likes of Prof. Schulenberg. I think he highlights (in perhaps more extensive terms than actually needed) the challenges our performing arts organizations face in producing and marketing the “holiday concert.” Like their analogue in retail commerce, the holiday concert is almost certainly one of the largest contributors to an ensemble’s annual income. In addition, it is very likely that many of the audience members probably hear classical music very rarely at any other times of the year, with all that entails. With that in mind, shouldn’t we be prepared for some modest adjusting of historic rigor with perhaps the intention of enticing the uninitiated to come back later in the season? What some might see as pandering others might consider merely providing a product that serves a particular demand. All is not lost however. I could point to many recent and impending performances this month in Boston that present us with exquisite repertoire performed with keen attention to historic techniques and accompanied by dazzling program notes. We (and Tiny Tim) do have much to be thankful for in New England and I am grateful to all the artists who make this such a rich musical destination. I came here expecting a brutal takedown and found a long, lovingly detailed, and quite warm and charming review under a thin layer of good-natured grouch-wrap. It certainly made me wish I had attended, and almost made me think I had. This shrewd perspective reveals more about the writer than the performance. It’s clear his opinions were decided after reading through the program, rather than after the experience of the concert. It was a thoroughly enjoyable performance on Sunday afternoon. To my taste, after the exquisite gems from the earlier composers, the Bach works seemed good, but a bit overblown (like the Schubert Great C Major after the Mozart Linz: better on their own without the preceding contrast). But the question must be asked: apart from NEC’s Jordan Hall, what other Jordan Halls are there in the neighborhood, requiring NEC to insist on the specification over and over and over? Can BMInt get to the bottom of this?